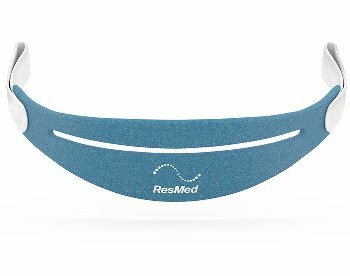 The ResMed AirFit™ N30i Nasal CPAP Mask with Headgear - This Starter Pack expands upon the very popular ResMed AirFit line of masks with the addition of a minimal-contact nasal mask and a top-of-the-head connection for increased comfort and flexibility. The AirFit N30i open design allows for one of the best fields of vision of any nasal mask on the market today. The AirFit N30i allows you to easily watch TV, read a book, use your laptop, cell phone, or iPad. It's leightweight design and whisper-quiet intentional leak ports, provide an experience of 'not-even knowing it's on' after a short time. Continuing in their tradition of mask innovation, ResMed has released the AirFit N30i with Headgear - Starter Pack, a feather light nasal mask taking comfort and open views to a new level of quality. The ResMed AirFit N30i with Headgear is equipped with a 360-degree swivel elbow and a hose connection at the crown of the head. The mask is designed for anyone who is an active sleeper or those who have trouble with claustrophobia.